Spring is marching on and April marks the beginning of the spring trail running race season. With the Gorge Waterfalls 100k race only a week away, I must shift gears and set my sights on the running season ahead. With a full list of trail running races once again in 2016, I am focused this year on staying healthy and running strong. Unlike past winters where I ran through the entirety of winter with an occasional ski day here and there, the winter of 2016 was centered around skiing. While I still ran a few days a week (including one long run of 15-28 miles), my focus was on the newly discovered sport of skimo racing. Originating in Europe (as most good things do), skimo is short for "ski mountaineering" and includes skinning uphill, boot packing uphill, skiing downhill, and occasionally using ropes and technical mountaineering skills to navigate a variety of winter terrain. Thanks in large part to the local organizational efforts of a few Missoula skimo enthusiasts (Mike Foote, Alan Adams, and Josh Gimpleson) 2016 was the inaugural year of the Montana Snowbowl Rondo Radness race series. For six weeks, the Snowbowl rondone races brought skimo racers of all ages and abilities together for some fun competition and invaluable experience. Not only was I amazed by the turnout at these races, but I was also surprised by my post-race level of fatigue! 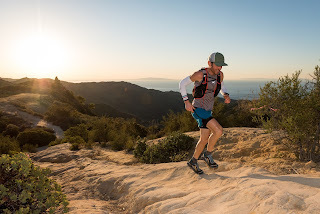 Half way through the Snowbowl Rondo Radness series, I traveled to sunny southern California to compete in the Sean O'Brien 50 mile trail run. Set in the Santa Monica Mountains overlooking Malibu and Zuma Beach, the 80 degree temperatures and 12,000 feet of climbing seemed like a foolish idea. What sounds like a great idea in October, often results in "registration remorse" a few months later. I felt strong from skiing, but ran 28 miles and 25 miles five and three weeks prior to the Sean O'Brien race. On Thursday, February 4th I raced the Rondo Radness race and two days later I stood on the start line in 31 degree darkness in the Santa Monica Mountains. The race began at 6:00 am and I knew right away that my legs showed up to run. I paced myself for the first third of the 50 mile course, getting a feel for the single track, fire roads, and warming temperatures. I ran alone most of the race, but got a glimpse of the runners immediately behind me around the half way mark at the Zuma Beach aid station. I realized I was running in third place and felt both euphoric and panic struck as I wondered how my legs would hold up. The heat of the day accompanied me on the long 5 mile climb out of Zuma Beach to the 30 mile aid station. Not only did I catch the runner in second place, but I also ran out of water and began seeing black spots for several minutes. At the 30 mile aid station I tanked up on water, orange slices, and salted potatoes and soldiered on. I would remain alone the final 20 miles of the race as the I was in second place for good. The runner in first had 40 minutes on me so I settled into my own rhythm and picked off 50k race competitors for miles. The long, hot descent to the finish line took a toll on my quads, but a higher running cadence and relaxed upper body lessened the impact as my speed increased. I arrived at the finish line 27 minutes behind race winner Karl Stutleberg in a time of 9:15 with a combined feeling of satisfaction and surprise. I had just run my fastest 50 mile time (given the 12,000 feet of vertical and 82 degree temperature) with the least number of training miles in my legs. I credit skinning, skiing, and strength training with my moment of success. I am convinced of the benefits of skiing (nordic, skimo) for winter cross training. The cardiovascular efforts and power required to ascend are contrasted by the reduced joint impact of descending while skiing. The concept of building the durability required for trail ultra running during the winter off season resonates loudly with me. I look forward not only to a rigorous spring and summer running season, but also to a challenging skimo season next winter. Train hard, train smart, and be safe out there!